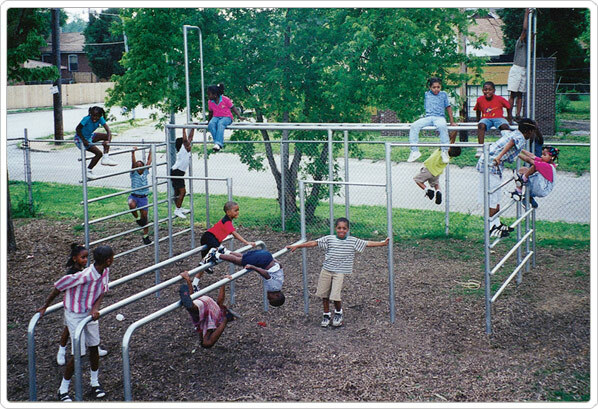 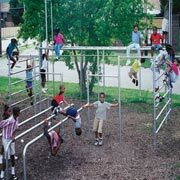 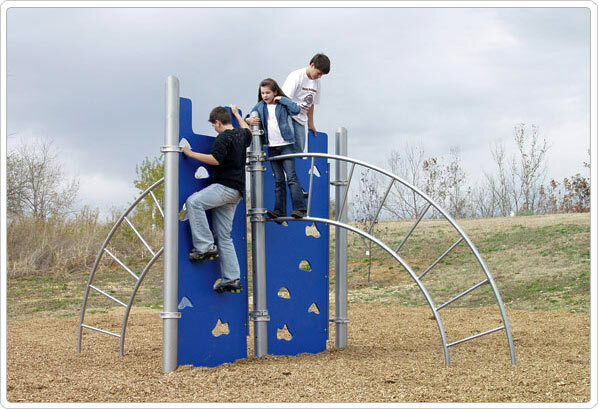 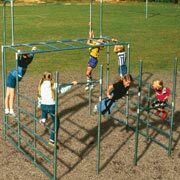 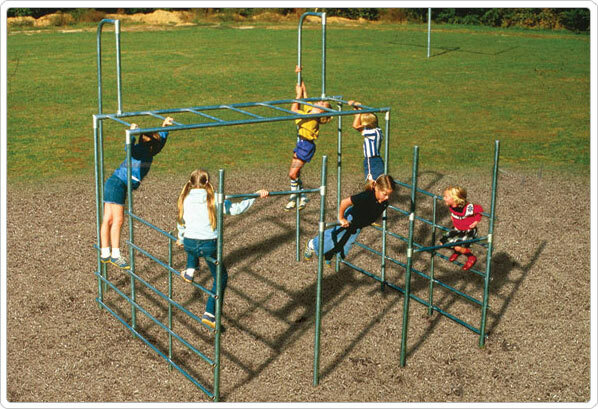 Our classic 'Hercules Climbers' can be found on hundreds of playgrounds across the United States. 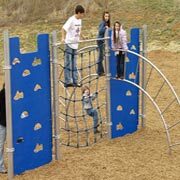 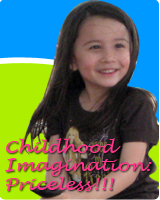 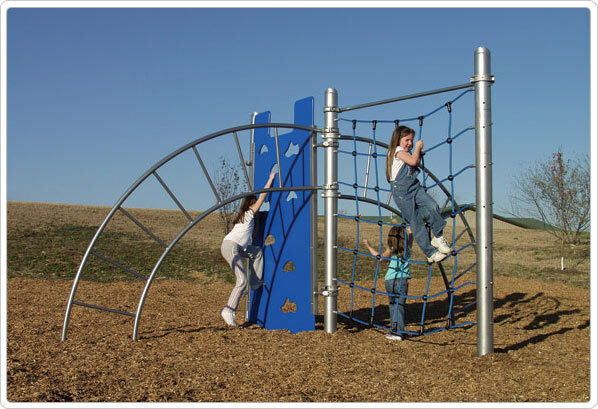 Affordable, traditional, galvanized climbers never go out of style with children. 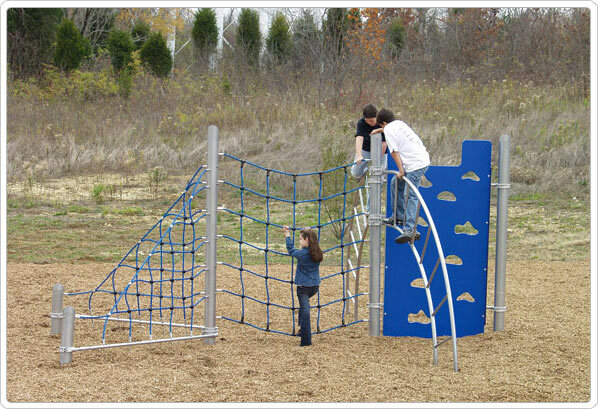 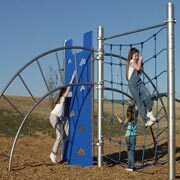 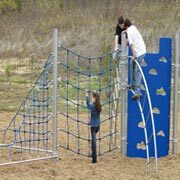 We've expanded the Hercules line with the addition of Hercules Climber IV, Hercules Climber V, Hercules Climber VI, Hercules Climber VII which combine colorful solid polyethylene walls with hand and foot grabs , sturdy climbing nets, arch style ladders , and heavy duty 5" OD powder-coated upright posts. 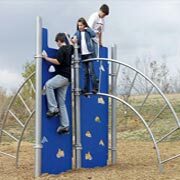 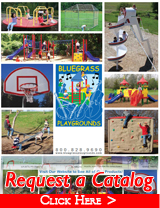 Promoting both physical and social play, these are perfect for school playgrounds, church playgrounds, and city park playgrounds. 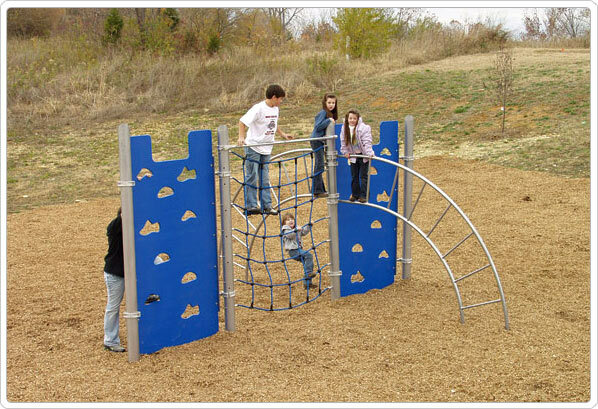 Use Zone: 30' x 33'6"
Use Zone: 30' x 33' 6"